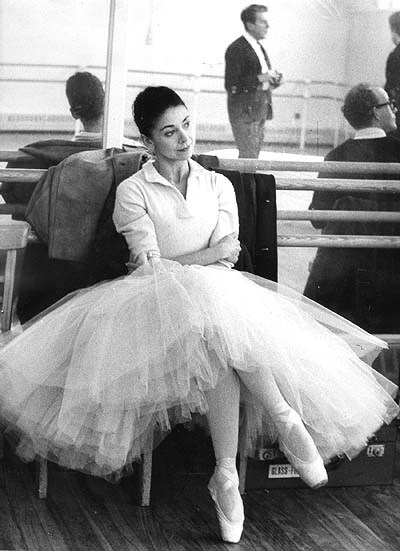 Dame Margot Fonteyn, (1919-1991), was born in Reigate, Surrey, England, and named Margaret Hookham. 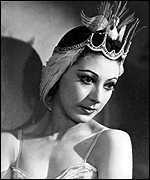 After marriage and recognition by the Crown for her important role in modern British ballet, her full name eventually became Dame Margot Fonteyn de Arias. She studied in London with the Russian teacher and dancer Seraphima Astafieva. In 1934 she became a member of the Vic-Wells Ballet (later the Sadler's Wells Ballet, then the Royal Ballet); in the following year she succeeded to many roles formerly danced by the famed British ballet dancer Alicia Markova. By 1940 Fonteyn was prima ballerina of the Sadler's Wells Company. Fonteyn's dancing was characterized by technical proficiency and musical sensitivity. Her most famous role was Aurora in The Sleeping Beauty. She also created roles in many ballets by the British choreographer Sir Frederick Ashton. In 1954 she became president of the Royal Academy of Dancing, and in 1956 was made Dame of the British Empire. Through the 1960s and 1970s, Fonteyn performed regularly with Soviet-born dancer Rudolf Nureyev during his tenure with the Royal Ballet. In 1979 the Royal Ballet granted Fonteyn the rare title prima ballerina assoluta. See the Past dancers of the month!!!! !